Thanks for your contribution to the success of our meeting! I think we will be talking about the 'flexible and negotiable' true meaning for some time to come. Everyone was very pleased and invigorated by your session. It was delightful to finally meet you in person. I'll certainly keep you on my list of 'people to recommend' to our other Bayer colleagues. Hodge International Advisors uses a consultative approach in tailoring presentations to address your business needs. No program is ever the same. Our programs and keynote presentations provide practical and effective strategies for achieving business results. For those that have done business in China for a while, you have probably had the experience where you are talking to a prospective client or partner about your business proposal and it appears that you both agree on the details and the opportunity. Your meeting concludes with handshakes and beaming smiles. From your perspective, "yes" means "yes, we have a deal," while you're Chinese colleague is thinking "yes, I need to talk to more people about this idea." So, here's the deal on doing business in China: besides having a sound business idea, you need to anticipate what your Chinese partner is thinking about the opportunity and understand the parameters of his authority. What are the steps (and how many steps are there) between discussion and decision? In a Chinese banquet, you know the end of the party is near when the fruit arrives. But in the realm of business, what would be analogous to orange slices in gauging where you are in the process? This program or presentation can be about a region such as Asia, or a country such as China, India, Brazil or Belgium. Working successfully with the Japanese requires an understanding of business etiquette and cultural nuances - enabling you to make the best impression while avoiding deal-breaking blunders. Knowledge of differences in business practices will enable you to establish a relationship of credibility and trust that leads to customer loyalty, resulting in a competitive advantage. After attending this program, participants will have a deeper understanding of the proper etiquette, values, and behaviors of the Japanese, and the impact such values have on their work. They will be equipped to choose the right behaviors and techniques when dealing with the Japanese. Participants also will have an enhanced ability to interact with Japanese customers socially and professionally, providing the platform upon which to build a trusting relationship. Participants will increase their ability to achieve measurable business results when working across cultures. Our Global Diversity program will address intercultural management issues such as cultural differences in motivating employees; delegating work; employee-manager relationships; communication; conflict resolution; employee feedback; decision-making; and other topics pertinent to a specific company. Through practical and company-related exercises, we compare and contrast these different styles, and help employees build the global business skills that are necessary to work effectively within a global business environment. The increasingly global nature of business and the multicultural make-up of the workforce require cultural competence to achieve business results. To lead successfully across borders and cultures, it is imperative to understand differences in cultural values, and their influences on everyday business practices (i.e. motivating employees, getting buy-in, conducting meetings). Key issues covered include: a deeper understanding of differences in values, behaviors and attitudes, and their practical implications for leading successfully across borders and cultures. Participants will learn how to leverage differences in business practices in their company's worldwide operations to create a common corporate culture and leadership strategy. This program supplies practical and proven tools and strategies for developing global competencies that energize and motivate the global workforce to achieve consistent business results. This program provides executives with tools to identify critical issues facing their global teams, and develops strategies to improve team performance. Successful teams are managed. They are based on a shared vision, good communication, effective decision making, and leadership. In an increasingly global and high-tech economy where employees from far-flung operations join together to work on projects, understanding how cultural differences impact the internal factors that drive teams is critical for achieving business results. Mastering the skills of cross-cultural communication and negotiation is essential for succeeding in business in today's highly competitive marketplace. Knowledge of etiquette and protocol is not enough. In order to get results-to bring home contracts that don't fall apart-executives have to become skilled cross-cultural negotiators. You need to understand how other cultures negotiate; how they differ from American approaches in their strategies and tactics; how they handle conflict; and the ways different thinking patterns and styles of decision-making influence the negotiating process. This topic is presented as a key note, structured as a seminar or as one-on-one coaching format. The presentation is always tailored to reflect the specific needs and challenges of the audience. The presentation or program could be an overview of negotiating cross-culturally-or, alternatively, it focuses on specific countries such as negotiating in France, Japan or China. Today, doing business in the global marketplace is a fact of life for most companies worldwide. Understanding the values, attitudes and behaviors of people in other countries is the key to knowing how to do business with them. In this program, you will gain an overview of how cultural differences affect the process of doing business and achieving business results. People communicate differently in different countries, and recognizing these differences is an important asset when working with people from other cultures. What might be a successful communication style in your country might backfire in interacting with other cultures. However, an awareness of the values and behavioral norms of the target culture can help ensure a successful business relationship. This program is most useful for individuals working with international associates, or traveling to other countries to do business. This program provides senior executives with strategies to achieve operational integration of two corporations. Individual, corporate, and national cultures are closely examined in this program. Strong emphasis is placed on discerning explicit and implicit values and behaviors. A clear statement of the desired organizational culture with principles of conduct and best practices is established. Senior executives develop formal and informal mechanisms to address issues and build consensus. Although human resources departments are becoming increasingly supportive of cross-cultural training for expatriating employees and their families, the effectiveness of this training has not kept pace with the increasing demand for practical, performance-related knowledge and skills. As business becomes more competitive, expatriating employees must become competent in working and managing in the new culture. We need to raise the bar; instead of generalities, cross-cultural training must be tied to improving performance and bottom-line results. Expatriating employees and short-term assignees must learn how to work and achieve results in new cultures so they can get more and more work done every day. Higher productivity leads to better results for the organization in many ways: when the expatriates are empowered by specific knowledge that relates to their work, they are in control instead of being overwhelmed by inexplicable situations, or constantly taking remedial actions. Human beings are very resilient and most will eventually learn, but your organization will be much better off if employees deal with a smooth learning curve. Cross-cultural training for expatriates has not changed in the past fifteen years, and most of today's cross-cultural briefings consist of pre-printed manuals and information "dumps" consisting of a long list of cultural "dimensions" which are not tied to practical business applications to their work in the new business environment. Our approach is different! 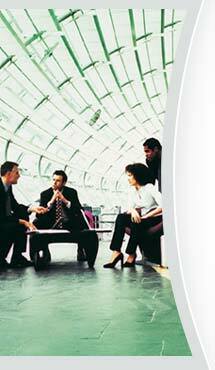 We coach expatriates to achieve their new assignments' business objectives. We will be available to continue our coaching by e-mail and telephone, and we have trainers in the assignment country for post-arrival training if it is requested. Transferees and their families receive adjustment strategies to living and working in the new country as well as in successfully managing their careers in the new work environment. Our programs will help to avoid costly mistakes that drain resources, and facilitate successful achievement of company goals during the new assignment. Our Executive Cross-Cultural Coaching enables returning expatriates and their families to address integration issues and better understand the impact of repatriation on both their personal and professional lives. Many assume that the return home is the easy part of any expatriate assignment. Yet, people who repatriate often experience anxieties, questions, and adjustment needs that mirror those they faced during their original move abroad. This program thoroughly analyzes team dynamics and business objectives to ensure effective performance in a multicultural and global organization. Effective teams have at least two common characteristics: (1) individuals' behavioral styles and skills are complementary, and (2) individuals are aware of how cultural differences affect cooperation and interactions. This knowledge will enable team members to work together to assimilate into new teams and quickly become effective. In today's multicultural business environment, high-performing multicultural teams can out-perform homogeneous teams when their diverse skills and contributions are maximized. Serving and selling to international and foreign-born clients is a fact of life for the majority of sales professionals in the United Estates. Understanding values, attitudes and behaviors of people who come from other countries is the key to knowing how to do business with them. People communicate differently in different countries, and recognizing these differences is an important asset when working with people from other cultures. What might be a successful communication and negotiation style in the United States might fail in interactions with people from other cultures. Conversely, an awareness of the values and behavioral norms of the target cultures can help ensure a successful business relationship. In this program, sales and marketing professionals will get an overview of how cultural differences affect their business interactions, and will learn effective strategies for serving and working with their multicultural clients. Sheida Hodge has extensive experience in training sales professionals to succeed in the multicultural domestic market. Recently she developed a 6-hour Department of Real Estate approved program for Coldwell Banker Bain & Associates called Global Diversity: The Art of Serving and Working Effectively with Multicultural Clients. Previously, Sheida Hodge presented and conducted training programs for most major new home builders such as Kaufman & Broad and K. Hovnanain Homes, and real estate firms such as Prudential, Coldwell Banker and Century 21. She has also conducted training programs for other businesses that sell and deal with the international and foreign-born market in the U.S.